Imagine watching a construction project change in real-time in 3D from the comfort of an office, troubleshooting designs for multi-million-dollar instruments without the need for expensive physical models, or observing 3D images of living biological specimens reacting to a new treatment in real-time from a classroom. 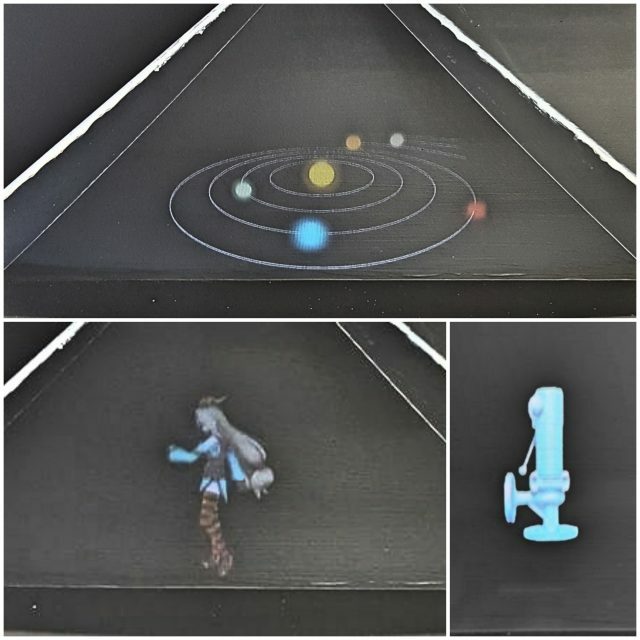 With holograms location, price, and scale don’t matter, and with our interactive holograms, you can do more than just see your projects on your desk. 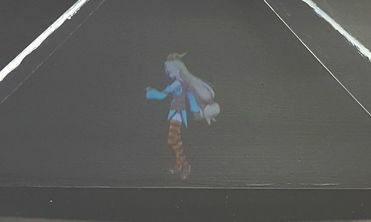 Using a LEAP motion for hand tracking, you can interact with the object you see in the pyramid. Rotate, and zoom in on your instruments, pick up the solar system.